The Antares Versus with carbon reinforced nylon shell and K:ium rails! The Versus collection is meant for the riders that have been asking fi'zi:k for a model with a relief zone. A 7mm deep channel design allows a greater pressure relief maintaining the stiffness and durability of a solid base saddle. Antares has become my preferred saddle, comfortable over distance, and this particular model gives a good trade-off between weight and price. Comes complete with some extra comfort for free. Tried this for the first time this morning and it's super comfortable. I used the Fizik app and it said I'm a chameleon and so I bought this saddle. 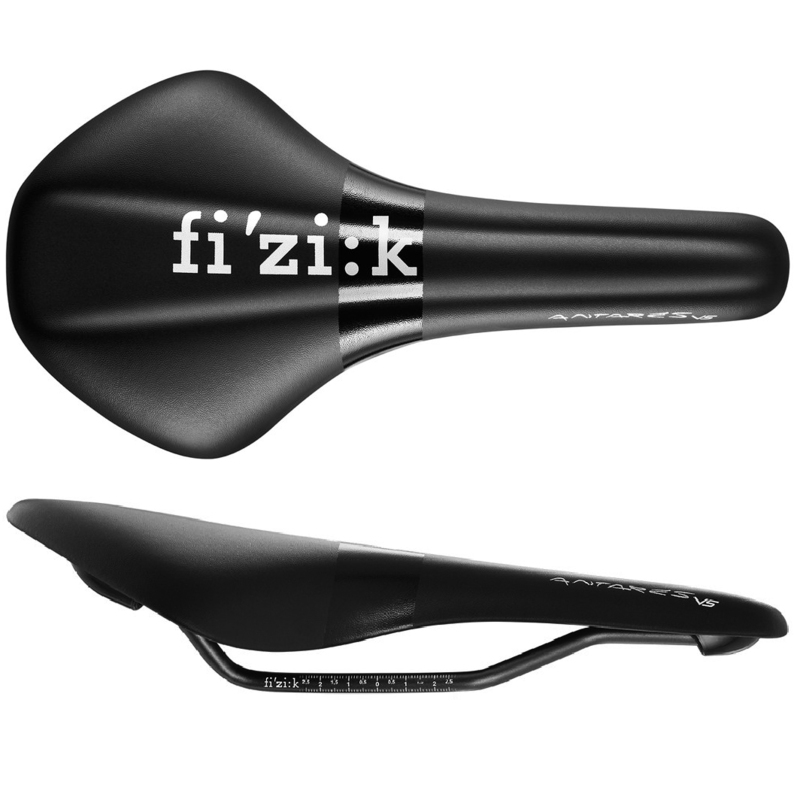 I'd definitely recommend downloading the app to check which kind of saddle you should get before buying a Fizik saddle. Incredible value from Merlin cycles again. You'll not find a better saddle than this at the price. Wanted more range of movement on the saddle than the Aliante (previous saddle) was giving.. The channel has also greatly reduced numbness in the area you don't want to be numb. So far I have only put in a few hour long sessions on the turbo , but have been by far more comfortable during them than before.